India Gate, a photo by bArfaNibAbA on Flickr. The monument is inspired by the Arc de Triomphe in Paris, which in turn is inspired by the Roman Arch of Titus. It was built in 1931. Originally known as the All India War Memorial, it is a prominent landmark in Delhi and commemorates the 90,000 soldiers of the British Indian Army who lost their lives in World War I and the Third Anglo-Afghan War. It is composed of red and pale sandstone and granite. Originally, a statue of George V, Emperor of India stood under the now vacant canopy in front of the India Gate, but it was removed to Coronation Park together with a number of other British Raj-era statues. 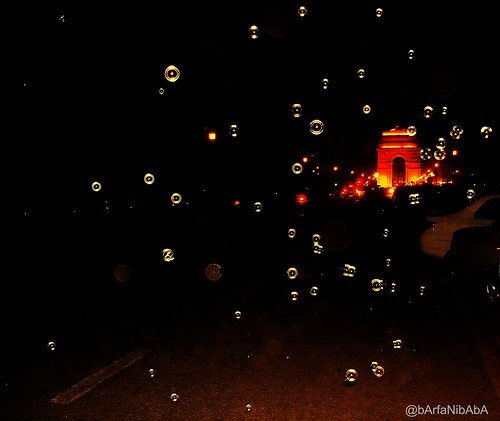 Following India’s independence, the India Gate became the site of the Indian Army’s Tomb of the Unknown Soldier, known as Amar Jawan Jyoti (“the flame of the immortal soldier”). Another amazing fact about Delhi’s India Gate is that it is the country’s single largest point for selling ice-cream, closely followed by Chennai’s Marina Beach. 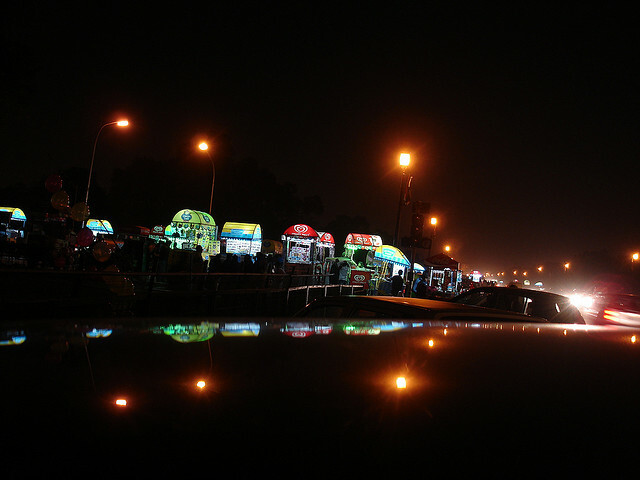 India Gate is the place where ice cream companies create brand awareness. The biggest battle for market share in the country’s multi crores ice-cream business takes place at India Gate.